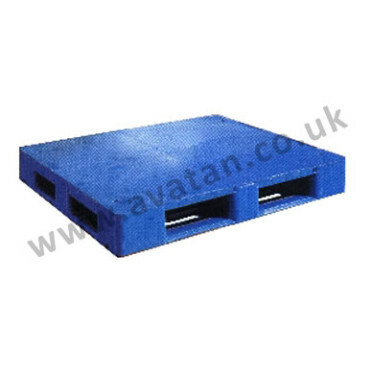 Four way entry non-reversible HDPE Plastic pallet with skids on 1200mm face and free entry on 1000mm face. 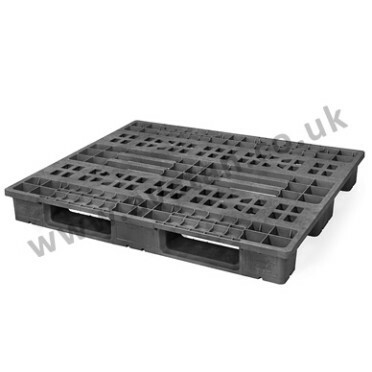 Manufactured from recycled HDPE colour black. 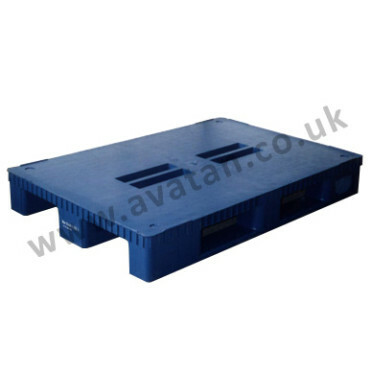 Suitable for dynamic load of 1250kg u.d.l. 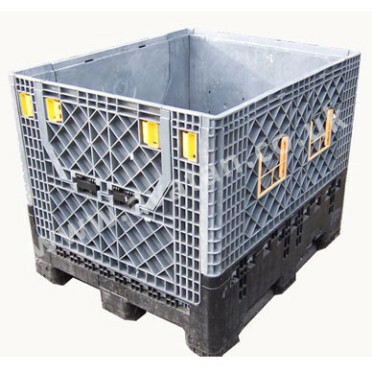 Only suitable for 350kg u.d.l. 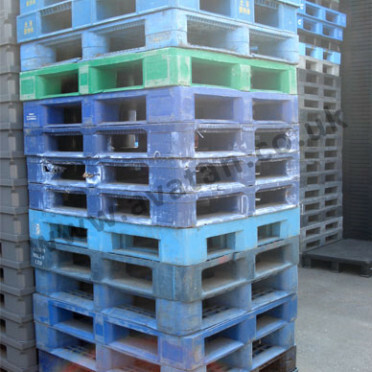 in pallet racking.